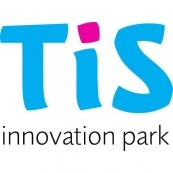 The TIS innovation park sees itself both as a center as well as a driving force for innovation, cooperation and transfer of technologies for all stakeholders in innovation, but above all, for individual companies. links the economy with science. It serves as a gateway to the latest technological trends, as an institution for translating academic and international knowledge into economic exploitation and concrete applications, and promotes innovative projects within small and medium-sized companies. Networking and cooperation with partners of the TIS innovation park, with leading domestic and foreign enterprises and international research facilities.